Responsive Blogger Templates are rather used for media devices like mobile phones and tablets. Just because simple blogger templates are not compatible all screen sizes. We can also say that, the template or blog design is not visible properly on random devices. So to solve that issue we use responsive designs. By using responsive blogger template all scrolling system on small screen get fixed. Thus, other unwanted features can be hided. It will properly fit on our mobile or tablet screen. Therefore, we can read articles properly. Responsive designs are fit according to the screen or are therefore, adjustable according to the devices. Suppose if the user uses a smartphone and visit any website or blog. Then blog design will adjust according to the mobile screen. Approx 50% of blog visitors use smartphones/tablets. So if we don’t use responsive design on our blog then it will effect on Adsense earning due to low CTR (Click Through Rate). Sometimes it becomes difficult to find best responsive blogger templates because most of them are premium. Therefore, its not easy to find and choose free responsive blogger templates which works perfectly. 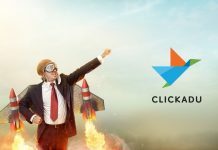 Here we have made a collection of some amazing blogger templates which are fully responsive, SEO friendly, neat and clean, fastest loading and well coded. Must Check:- Best Blogger Templates. List Of Best Responsive Blogger Templates. 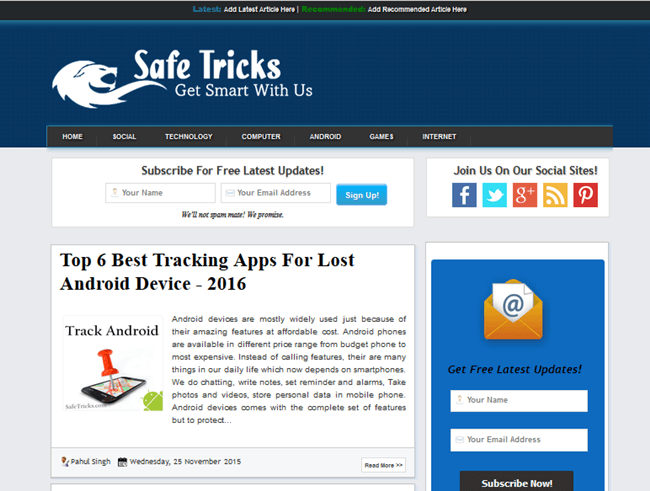 1.Safe Tricks Responsive Blogger Template. 2. All Tech Buzz Responsive Blogger Template. 3. Sevida Responsive Blogger Template. 4. Awesome Mag Responsive Blogger Template. 6. Modern Mag Blogger Template. 8. Real Mag Responsive Blogger Template. 9. Personal Mag Responsive Blogger Template. 11. Max Mag Responsive Blogger Template. 12. Elice Responsive Blogger Template. 13. Flat Mag Blogger Template. 13. Excelencia Responsive Blogger Template. 14. Android Mag Blogger Template. 15. Sensational Responsive Blogger Template. 11.Safe Tricks Responsive Blogger Template. Neat and Clean and well coded Design and easy to customize from Template customizer. Fully Advance Responsive Blogger Template. Fully SEO optimized For Articles and Images.